What Happened to our original Totem Poles and why has a new one turned up in the grounds of The Grange? In the opinion of Christopher Smith, who carved the new Totem pole, the years the Canadians lived in Radcliffe represent a significant part of our recent history. The Canadian government made a large financial contribution towards the cost of the new secondary school and the local economy also benefitted, from what seemed to him at the time, really well off people. His Canadian school friends are now all in their mid to late 60’s and they still talk about their time in Radcliffe being the happiest years of their lives. 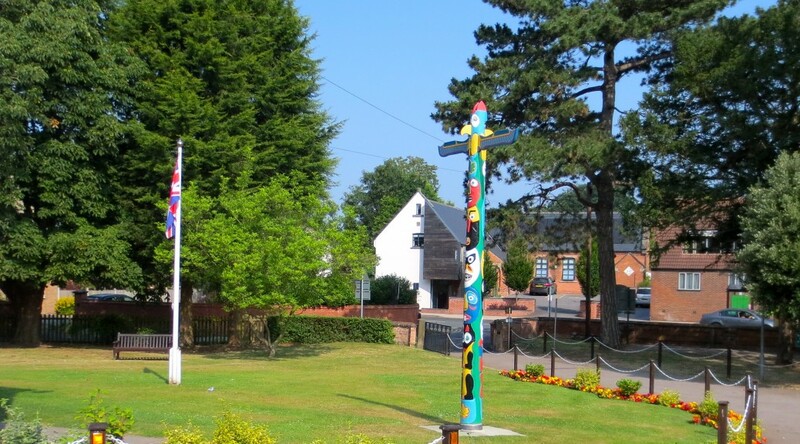 Many of them have and still do, visit Radcliffe-on-Trent and one of the things they always ask about are the totem poles. In 1963 seventeen year old Canadian student Tim Barton carved three poles for the school, the first was a small indoor pole about seven feet tall. With the help of a caretaker this one was found in a store cupboard. The two outdoor poles one of which was twenty six feet tall have both disappeared. Christopher was told they had rotted at the bottom but no one knows what happened to them. Christopher was saddened to think that something the Canadians left us to remember them by had been allowed to disappear. So he put his neck on the block and offered to supply and carve a new pole for the village; the offer was kindly accepted by the Parish Council and it was agreed that when complete it would be erected in the grounds of The Grange. 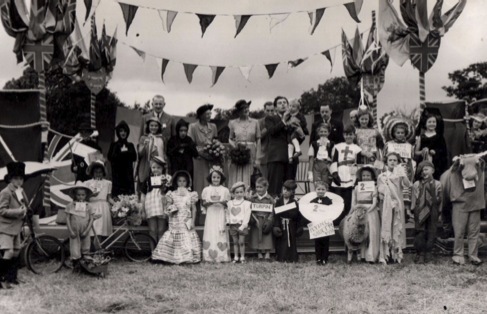 Thousands of visitors would pour into the village of Radcliffe onTrent for the annual village fete and gala during the 1950s. Special trains were laid on from Nottingham, the show was so popular. Traditionally held on August Bank Holiday Monday celebrities from the period would open the show and also judge various categories. Vegetables, flowers, cakes and scones, jams and jellies all were on offer with cups and certificates being awarded. 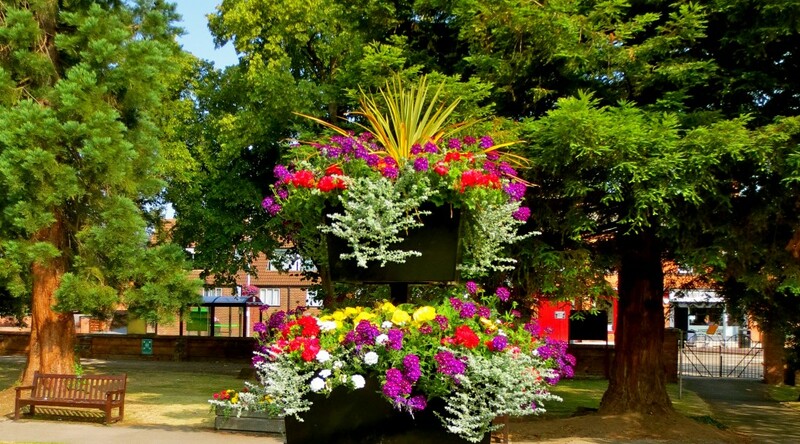 Attractions such as Punch and Judy, skittling for a live pig, childrens sports, veteran’s races for the over 40s, miniature railway, horse and pony rides and balloon races were all available. You could also find beauty competitions such as shapely ankles or outdoor girl where girls were judged on their beauty, physique and appearance. Unfortunately there is no record of a local girl winning these competitions. Refreshments on sale included a variety of sandwiches (actually only cheese and salmon spread! ), fruit cake and of course lots of cups of tea. At the end of the show produce would be sold off. The show was held on the extensive grounds behind the British Legion stretching upto the bypass. Mr Elwin from Hartwell House (now demolished) also lent his fields to ensure there was space for everyone. 5000 people were recorded as attending the 1950 show but the village excelled itself in 1952 when a record number of visitors came, 10,000. A fancy dress parade together with decorated vehicles would proceed through the village lead by a local silver band and the show would then be declared open by the celebrity of the day. People such as Derrick De Marney, Guy Middleton, Major Draper (also known as the Mad Major due to his daring flying exploits) and the Duke of Devonshire. In the evening dancing would be held on the lawn in the front of the British Legion Hall.